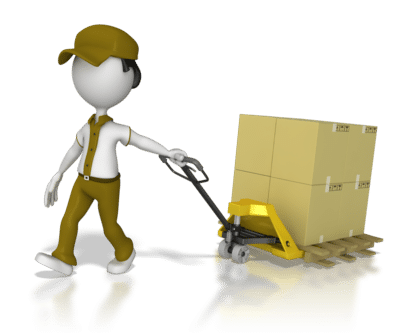 Recently, we encountered an error in Dynamics 365 Project Service Automation. 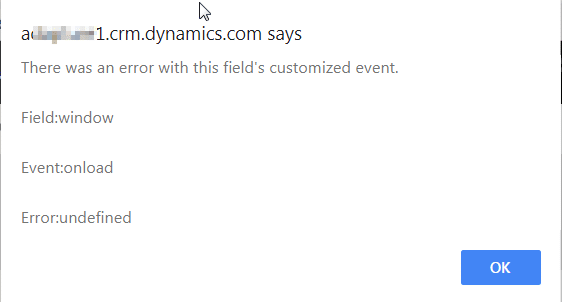 Whenever the Bookable Resource form was loaded, an undefined error popped up saying there was an error with “this field’s customized event.” However, there was no information on which field the error referenced. After some investigation, the error was finally traced by Microsoft support to the Legacy Form Rendering setting. Once Legacy Form Rendering was turned off, the error disappeared. To change this setting, go to Settings -> Administration -> System Settings. On the General Tab, if “Use Legacy Form Rendering” is set to Yes, set it to No. 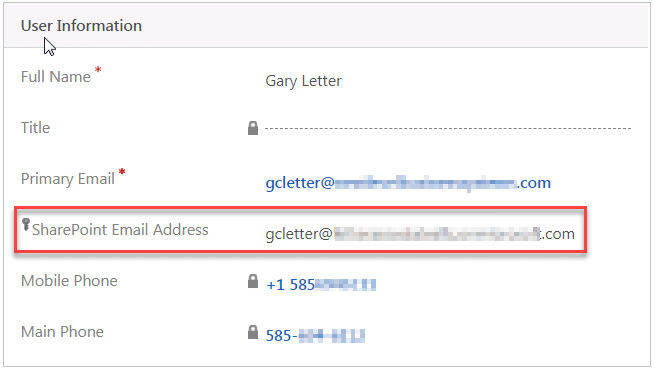 When you are customizing a form in Dynamics 365, it’s not always clear how to identify the name of the field in the database. Some are clear; fields like “Subject” and “Description” usually have the same label as the technical name of the field. But what about a field like “Due Date”? The Display Name is not the same as the technical name, and the label on the form might not even match the Display Name. The easiest way to find the technical name is to use the Form editor. Let’s try it. On the Task form, click the Form button to open the editor. When the window opens, double-click on the field to open the Field Properties. Click on the Details tab to see the Display Name and the technical name of the field. 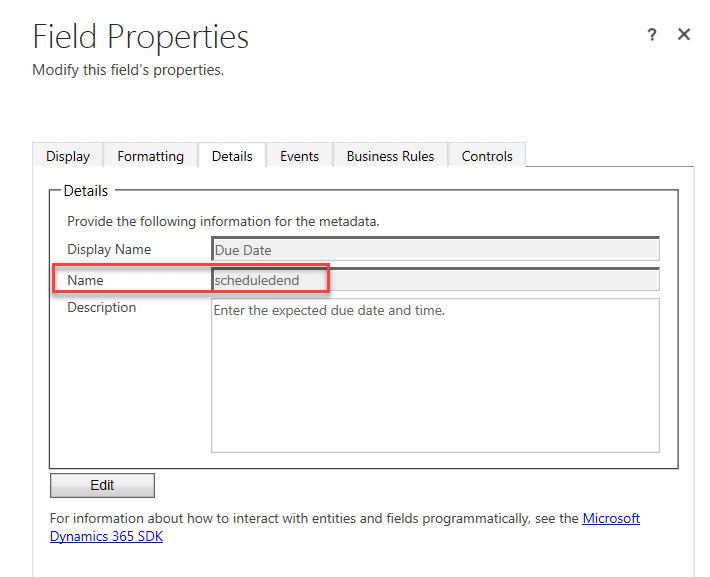 On the Task/Due field, for example, we can see that although the field is labeled “Due” on the Task form, the Display Name is “Due Date” and the technical name is “scheduledend”. Relevance search uses Azure to index your CRM data. 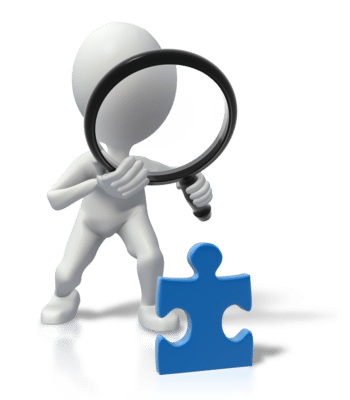 This means that you are exposing the data to a service external to your CRM instance, so you need to take that into account before you enable Relevance Search. 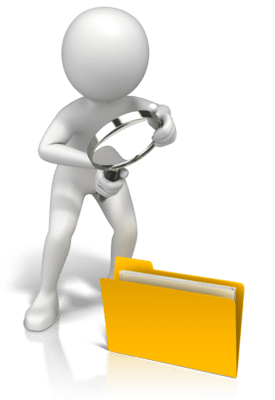 You may have entities and fields that you do NOT want to expose this way because they contain confidential information. 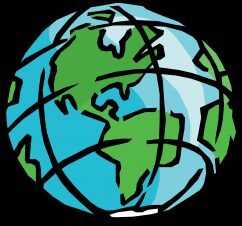 On a global basis, Relevance Search is enabled in System Settings. The user selects it in Personal Options -> General -> Search Experience. We recently ran into an issue restoring the a production CRM instance to the corresponding sandbox instance. 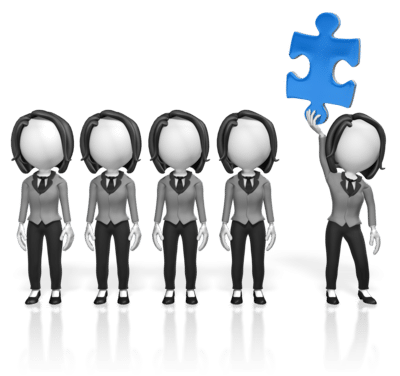 Although the field security profiles appeared to be copied correctly, the secured fields were not accessible, even with the System Administrator security role. Toggle field security off on the field and save it. Toggle field security back on and save it. Do this for each secured field. Then rebuild the Field Security profiles.